This month’s offering comes at a time of transition in my garden. 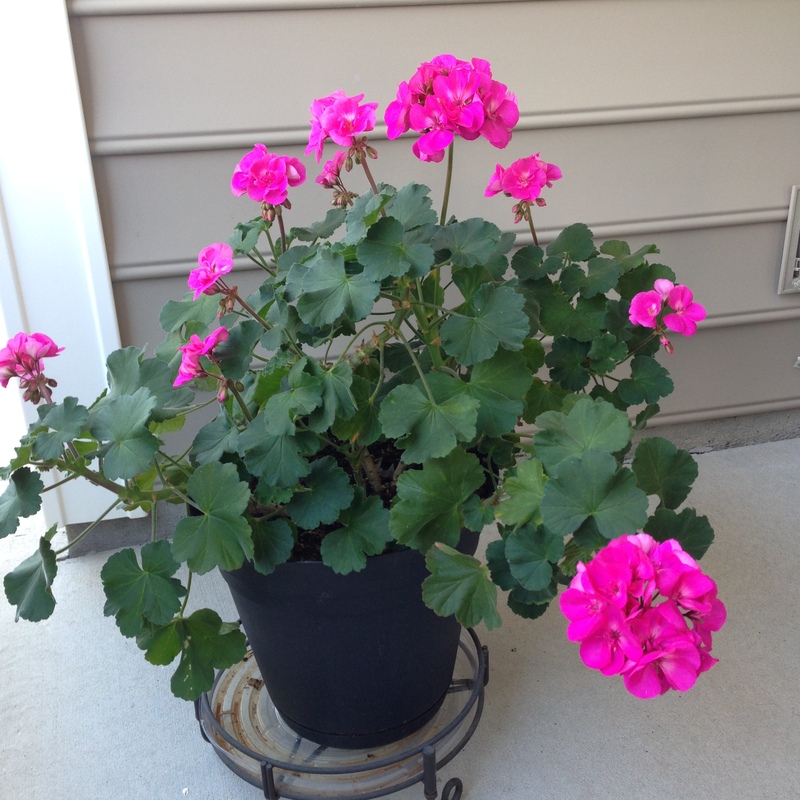 Surprisingly, an annual geranium (could it have a better name than ‘Fantasia Shocking Pink’) survived our frosty weather, has thrived in its front porch protected mini-ecosystem, and is throwing out new blooms in our current warm spell. A good hard frost will certainly send it composting, but for now we are delighted to have it. Another holdover is the pink muhly grass (Muhlenbergia capillaris). Most of the muhly grass around here has already turned tan for the winter, but this one blooms later for some unknown reason and for now is still retaining most of its color. My Arranger and I have completed our fall transition of annuals as we have replanted our pots primarily with pansies and violas. 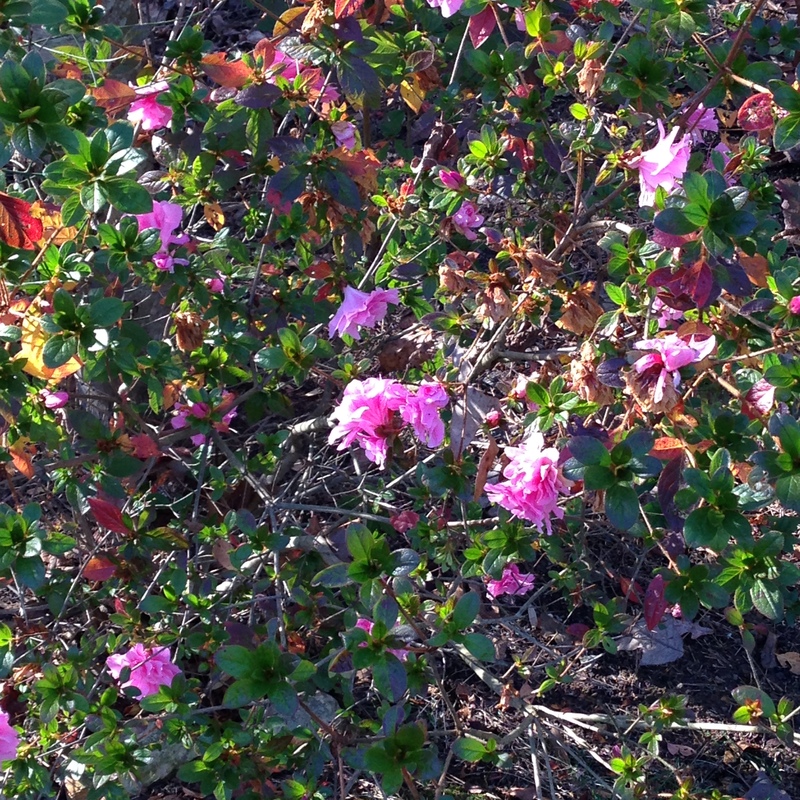 There are still Encore azaleas blooming sporadically around the garden, particularly along the edge of the woods. That will come to a halt with the next good freeze. There are lots of tiny white blooms on the tea olives (Osmanthus fragrans), and my reliable reblooming bearded irises are sending up buds, racing to open before that frost. Please visit Carol at May Dreams Gardens to see what she and others are sharing this Bloom Day. This entry was posted in Gardening, GBBD and tagged Carol, Carolina jessamin, Encore azalea, Gelsemium sempervirens, geranium, May Dreams Gardens, Muhlenbergia capillaris, muhly grass, Osmanthus fragrans, tea olive, violas. Bookmark the permalink. I live in upstate New York but, almost every year since 2009, we have visited either North or South Carolina. 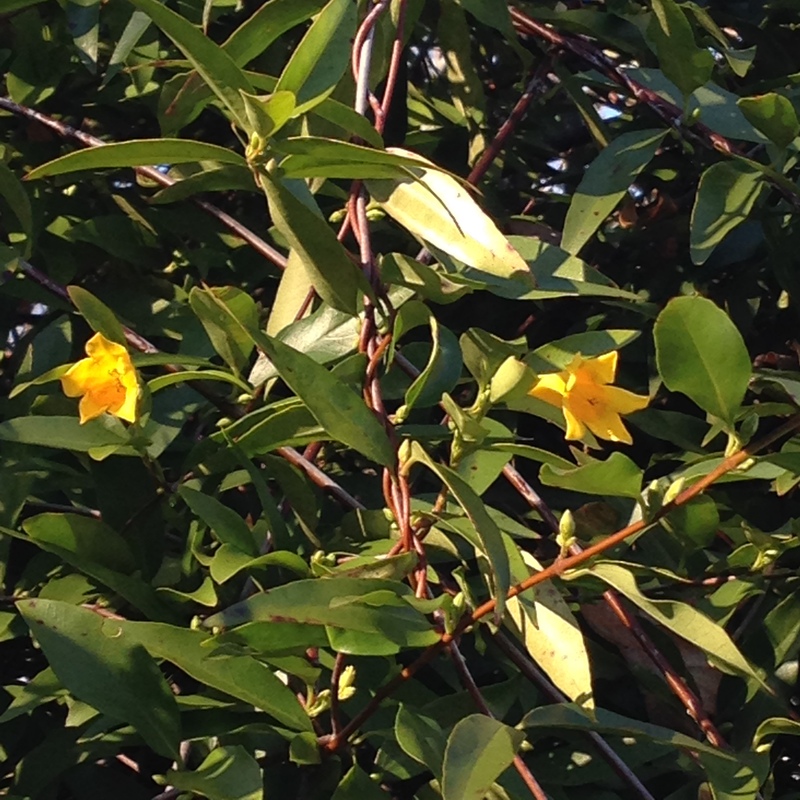 I have fallen in love with Carolina Jessamine. Too bad it isn’t hardy where I live – but then again, I am trying to grow a camilla – the hardiest variety I could find in a camilla nursery in Chapel Hill this past spring. 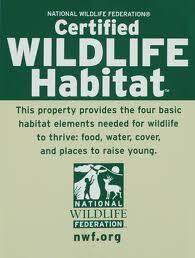 Perhaps, with our mild fall, we will have a mild winter. Love seeing flowers at this time of year-thank you! Happy GBBD. Thank you, Alana. the jessamin is a great vine…fast grower, no apparent problems with critters or pathogens, and not invasive. I have had camellias from Camellia Forest nursery in Chapel Hill…a great source. Love your muhly grass, we don’t see it over here, is it hardy? You have some lovely colour in your garden, flowers at this time of year are so precious! Thank You, Pauline. Muhly grass is hardy here (it’s native to this area). It is hardy to -23.3 to -17.8 C, so I would think it would survive in many areas of the UK. 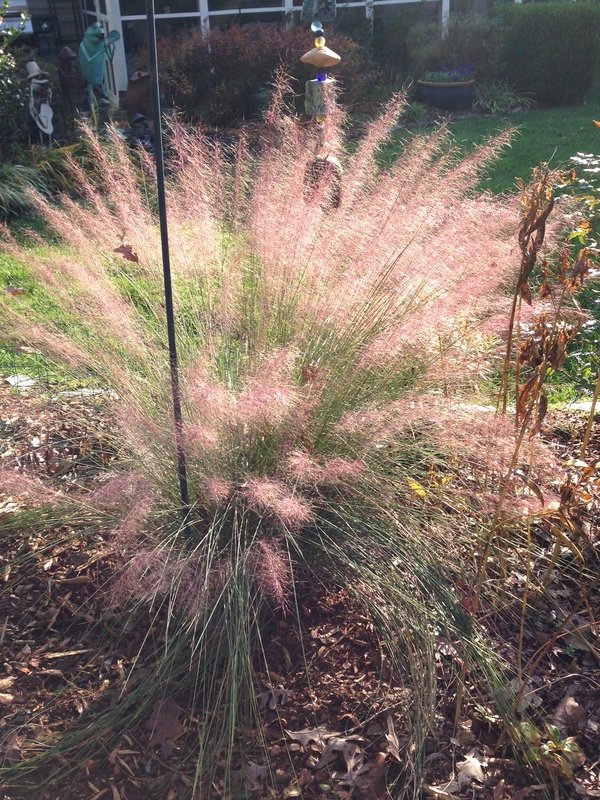 I second Pauline’s comment on the Pink Muhly Grass. Gorgeous! Thank you, Jason. It is a favorite.